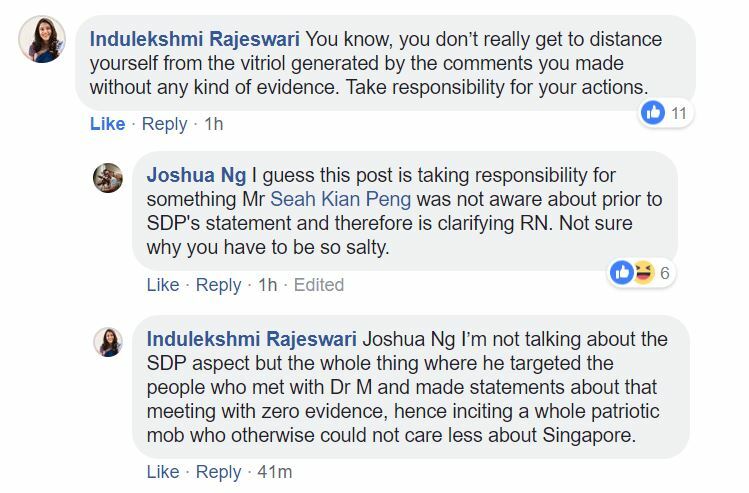 Some netizens have informed PAP MP Seah Kian Peng that a police report is being lodged against him after he “incited an online lynch mob” against the activists who met Malaysian Prime Minister Dr Mahathir Mohamad last week. 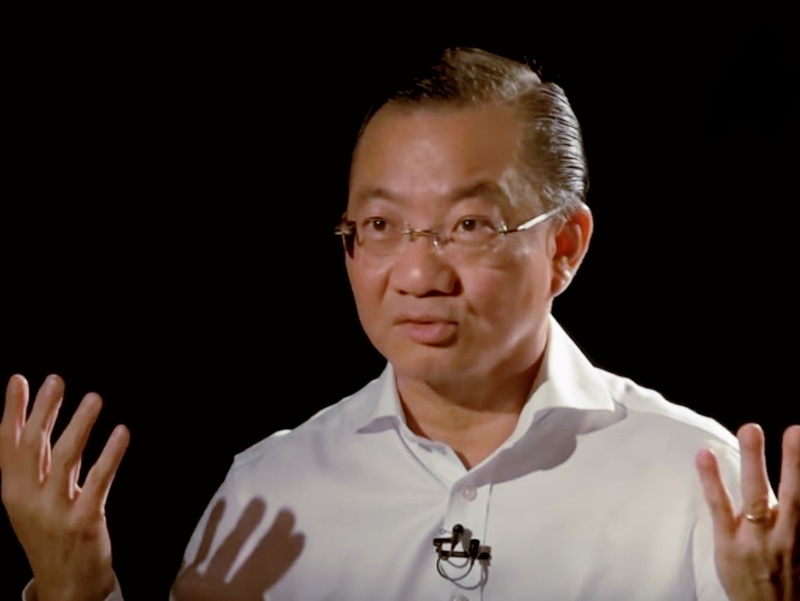 Historian Dr Thum Ping Tjin, journalist Kirsten Han, social worker Jolovan Wham and comic artist Sonny Liew met the Malaysian leader at an event organised by Malaysian activist Hishammuddin Rais and exiled Singapore activist Tan Wah Piow, last Thursday. The group clarified that they simply wanted to get to know the man up close and said that they were attending the meeting as a group of individuals and not a collective. “I think the whole conduct is a little bit sad, quite regretful. We can have political differences within Singapore. That is normal, it is people’s right. But we should never go out and invite someone foreign, foreign politician to intervene in our domestic politics. I think that is an absolute no-no. “I mean Dr Thum puts up a photo holding his book on politics in Singapore shaking hands with a Malaysian Prime Minister. 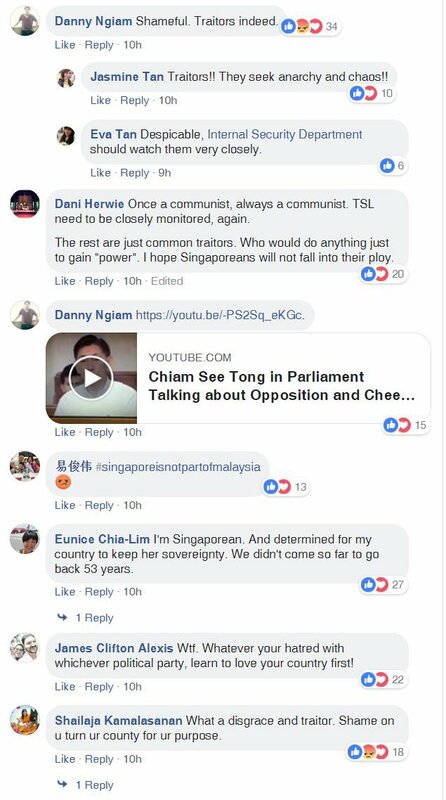 then puts up a foreign post saying that he invites Dr Mahathir to take a leading role in promoting democracy, human rights, freedom of speech in South East Asia. I think it is quite clear what that means. 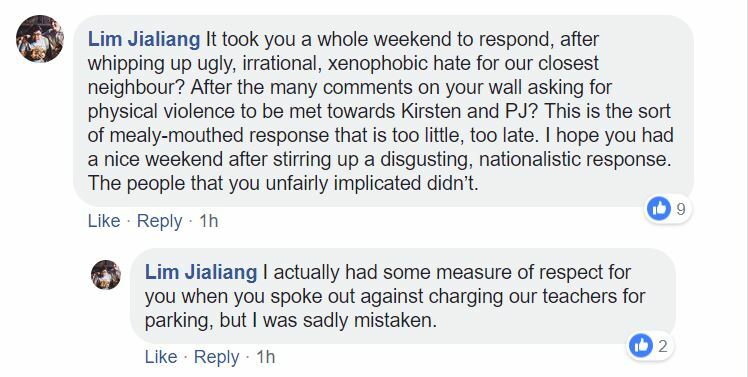 Despite Seah’s clarification that he does not support abusive comments, regardless of what side they are from, some netizens have slammed him for whipping up hate for the activists with his “misleading statements”.